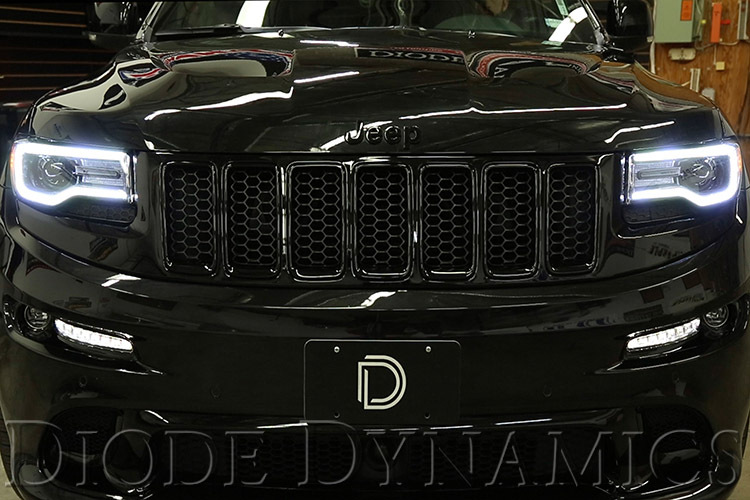 JeepForum.com > Vendors > Diode Dynamics > Diode Dynamics: 2014-2017 Jeep Grand Cherokee Switchback DRL LED Halos / Made In USA! 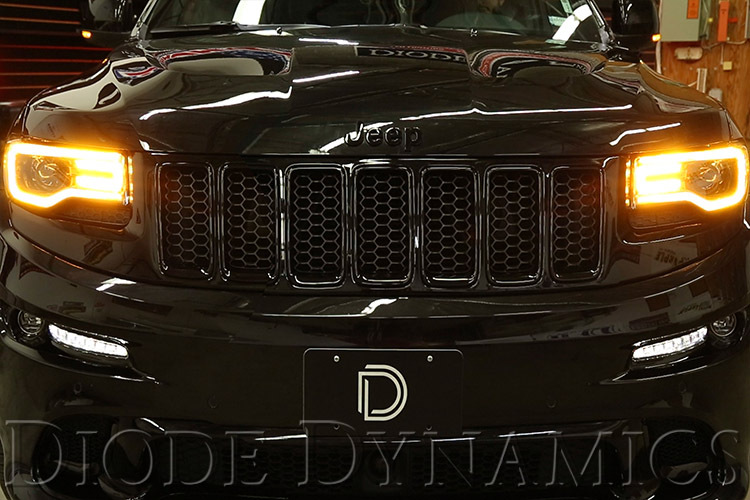 Diode Dynamics: 2014-2017 Jeep Grand Cherokee Switchback DRL LED Halos / Made In USA! 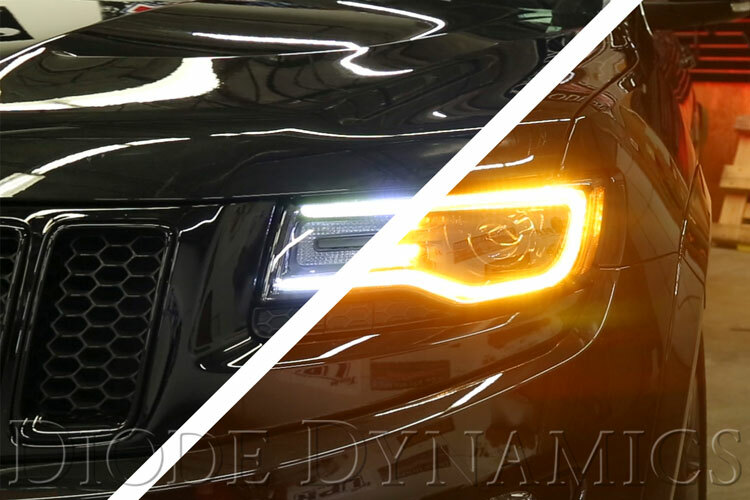 Made in St. Louis, Missouri by Diode Dynamics Engineering! 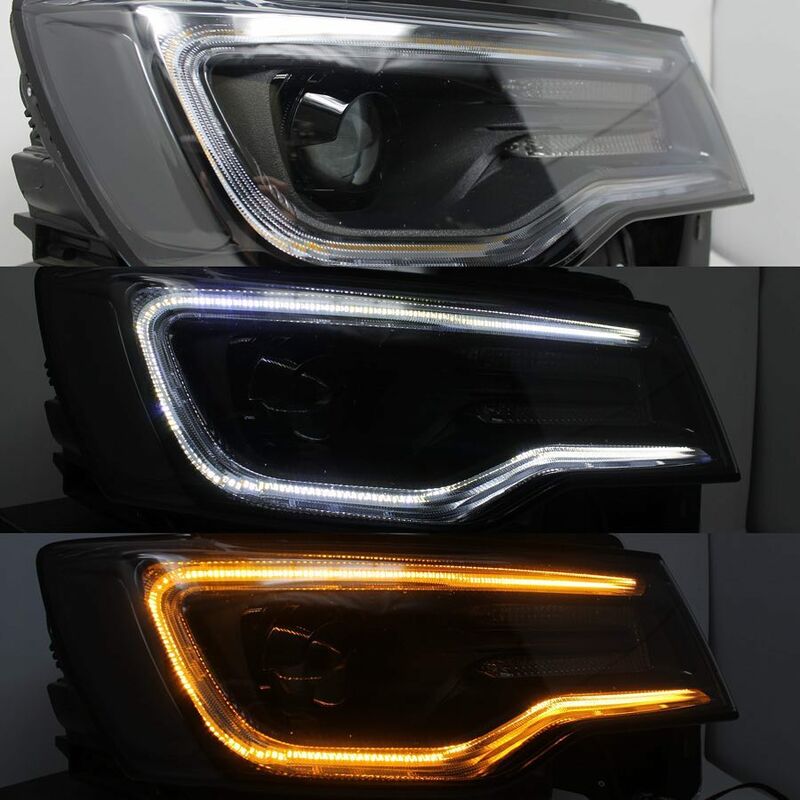 This halo kit, designed specifically for projector-style headlights on the 2014-2017 Jeep Grand Cherokee, includes custom-sized "C clamp" LED rings with multiple functions: extremely bright white for the DRLs, lower-power white for night time use, and a brilliant amber for the turn signals. 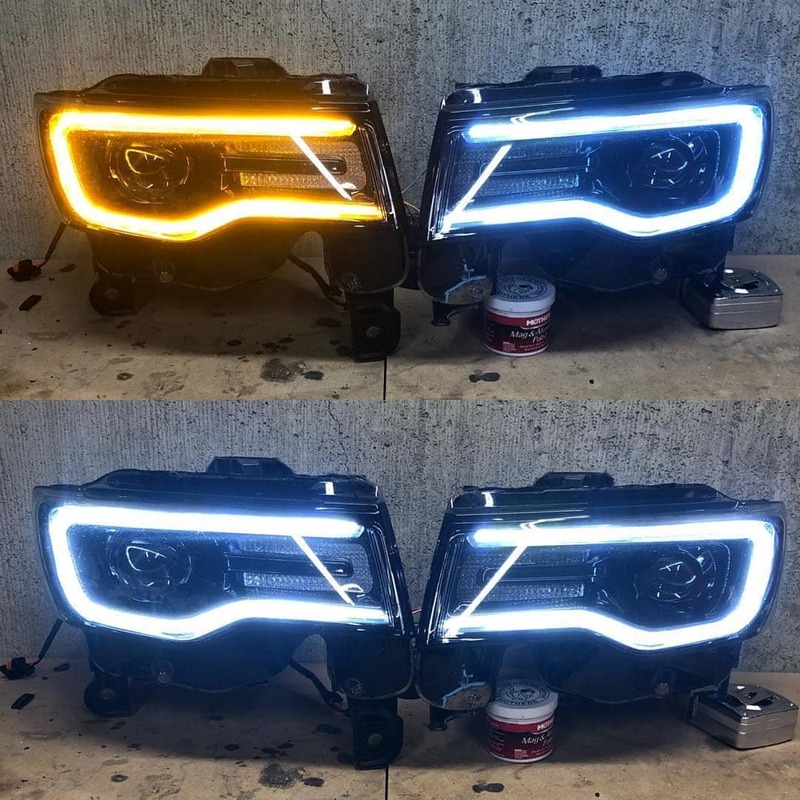 It will add a distinct, unique look to your Grand Cherokee SRT8 both day and night! Your order includes two application-specific C Clamp Halo rings, two drivers, and two wire pigtails with T-tap connectors. To drive the high-power LEDs safely, a constant-current, waterproof, inductive driver is included for each set. This driver utilizes a PWM brightness control system, a Diode Dynamics exclusive. This allows for a low-power white at night, high-power white during the day, and then an amber turn signal that is even brighter! While the amber is extremely bright, we do not recommend disabling your factory turn signal. Professional installation is strongly recommended, as the factory headlights must be opened for installation. The halos must be custom-mounted in position using adhesive or coated-beading wire. any codes 'B' series type ? How have you addressed the TIPM setting codes for this 'mod' ? These do not cause any issues when installed (our dealers have successfully installed several hundred of these over the past few years!). We use two custom-designed drivers, which feature transient voltage suppression, reverse protection, and a switching driver for extremely high reliability over time. If you'd like more information regarding the design or technical specs, feel free to shoot us an email at [email protected]!